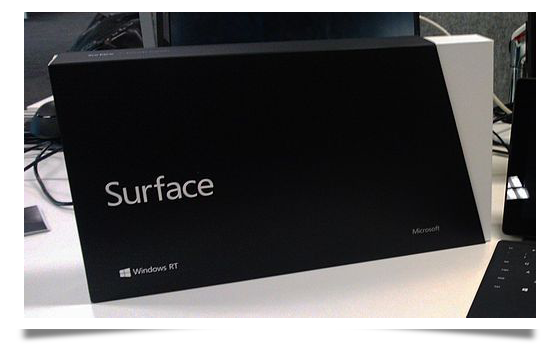 Microsoft entered the tablet race and released the Surface and Surface Pro. Surface sales were not as high as Microsoft had hoped and has recently slashed prices by 30 percent. In order to help boost the sales numbers, Microsoft has launched an education program to sell the ultrabook/tablet hybrid to students for only $199. Going one step further, they also sold them to attendees of the TechEd and Worldwide Partner 2013 Conferences for only $99. Microsoft wanted to create a device that was smaller than the ultrabook, bigger than the tablet, and able to perform everything either of those devices could do. Display – It works great with Windows 8 products, but with third-party applications that have not yet been upgraded, the quality drops significantly. Network – the only way to connect to the outside world is via WiFi or Bluetooth. This may severely limit its mobility for the working traveler. Input devices – It comes with a stylus pen and the user can have a flat keyboard. Users may find that there could be a lag, which would cause them to have to re-enter a command. Microsoft has a reputation for entering fresh markets with a device that is promised to be better than anything currently available to the consumer. As is often the case with such a large company, Microsoft can invest in the long haul, which is what is being done with the Surface. Microsoft will now enter the tweaking stage and start fixing problems that have been reported. With low Surface sales, Microsoft may already be looking for ways to improve the product for the future. Coming from the company that brought the world the incredibly successful plug and play for Windows 95, they seem to have made the Surface complicated. The Surface may still become a major player, but it will take another couple of years.